Canned food is easy, convenient, and tasty, but could there be some hidden dangers inside those metal cans? 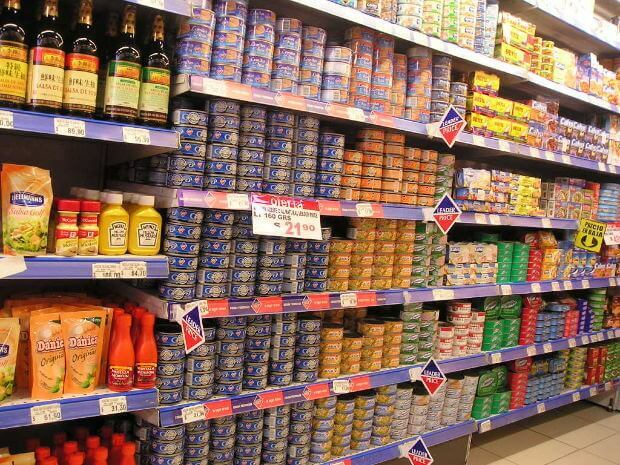 A large amount of food that we find in supermarkets comes in cans. It would seem that this is all very normal and healthy. However, several studies show that this material generates a toxic component that can be harmful to your health. Learn about the dangers of eating canned food in the following article. 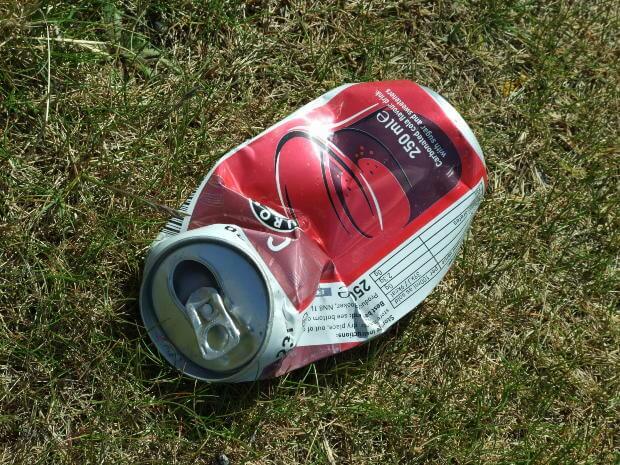 To start with, cans have a special covering made with Bisphenol A resins. Remembering the name of this is not important. What you should know is that it accumulates in the body and its effects are not good at all. A study by Harvard University revealed that people eating canned soup for five consecutive days had a large quantity of bisphenol A in their urine. They then measured the levels for five more days without the consumption of the canned soup. The substance wasn’t found. Scientists have been researching Bisphenol A (BPA) for some time now. A publication by the Medical Association Journal indicates that industry uses this component to produce plastic, resin, and cans. Additionally, a report carried out in the United States showed high levels of BPA in babies, children, and fetuses. Canada was the first country in the world to declare it as a toxic substance. After that, the European Union followed, where they prohibited this product in baby bottles. However, BPA resin is still present in other products. This is the case with the covering on metal cans that hold food and drink. However, there is still not enough evidence to fully know the harmful effects of bisphenol A accumulation in the body. Animal testing has shown alarming results, though. For example, they know that BPA is an endocrine disruptor, which means it can alter the operation of the hormonal system. It also has links to diabetes, cardiovascular diseases, and obesity. So, the problem is not so much what the cans contain (although you should also pay attention to that), but rather the contact the food has with bisphenol A. Thanks to certain experiments, scientists are doing whatever it takes to ensure BPA is eliminated from canned products. They are also trying to ensure that food in cans that contain BPA is taken off the market. Apart from cans, BPA is present in plastic and vacuum-packaged food. The only packaging or containers that don’t have it are glass or paper. Synthetic chemical products that that hold, package, store, and process food are silent enemies. Nobody knows what they are consuming and what it can do to your health (or your family’s health). The majority of these components don’t do anything. This is why it can be present in food with no problem. People that eat a lot of canned food are more susceptible to these substances. Substances that, as we mentioned before, can cause obesity, hormonal changes, cardiac problems, and diabetes. There is still a lot to learn about this substance. What we do know is that cans contain “popular” toxic substances like formaldehyde, known among scientists as being carcinogenic. We can also find it in plastic bottles (in lesser quantities). There is no doubt that canned tuna is one of the most popular foods around. This is due to not having to cook it and it being so versatile. The benefits of fish (which contain Omega 3 fatty acids and phosphorus) could be outweighed because of the mercury that the cans contain. Mercury is a metal with toxic effects that harm the nervous system. Apart from being present in some cans, and in some areas where they fish for certain species of fish, the water also contains it. 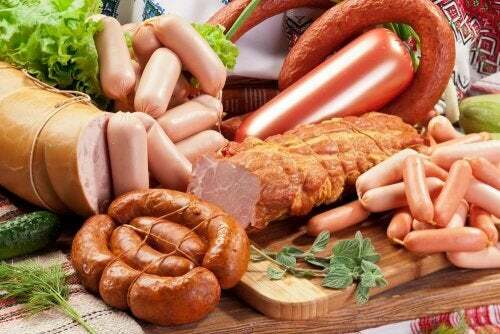 It can increase your risk of suffering from heart attacks, neurosensory changes, interferences in neurological development (in the case of fetuses), etc. See also: How Can I Tell If I Have Mercury in My Body? The majority of food cans in supermarkets have a plastic packaging. We know this as epoxide resin, which is applied on the outside. This is all to prevent foods from reacting and their acids from eroding the material. The idea is for cans to last a long time, which is why they have a circular form and this particular covering. If you think that the problem with eating canned food problem is new, you should learn about the story of John Franklin’s fateful expedition to the Arctic. On that trip, many members of the ship’s crew died, supposedly from eating canned food. Although this story may be a myth and the procedures of storing food have changed, it’s good to know that the problem with canned food is not new.